You are here : Home \\ Short Sale Articles \\ Just Listed – San Leandro Short Sale! Just Listed – San Leandro Short Sale! San Leandro Short Sale - 255 Accolade Dr.
East Bay Short Sale Group is proud to announe 255 Accolade Dr., a short sale in San Leandro. This is a spacious 4 bedroom, 2.5 single family residence with 1627sq ft in size, features include a walk-in closet in the master, back patio for entertaining, and much more. Home owner association dues are $118/mo and include front landscaping. Located in the highly desirable community of Cherrywood, this master planned development built in 2002 includes several greenbelt park areas, play structures and more. This San Leandro short sale is located not far from 98th Ave and Davis St exits and provide close access to I-880 and the Oakland Coliseum, home of the Oakland Raiders, Golden State Warriors, and Oakland A’s. If you are a buyer and are interested in this home, please have your Realtor contact the seller to make an appointment. If you do not have an agent you are working with please contact us to schedule a showing. This San Leandro will have multiple offers so be sure to get your offers in early! At East Bay Short Sale Group we specialize in short sales in San Leandro and all other areas of the East Bay. If you are a homeowner and are upside down on your mortgage and owe more than it is worth, contact us for a free consultation to see how we can help get your home sold and in many cases even get you relocation money from your lender after the close of escrow. Many lenders participate in the HAFA government short sale program which offers homeowners anywhere from $3,000-$30,000 in relocation funds after the close of escrow. We work and have experience with all major lenders and have extensive short sale experience. If you live anywhere in Alameda or Contra Costa Counties and want to learn more about how we can help you please contact us. 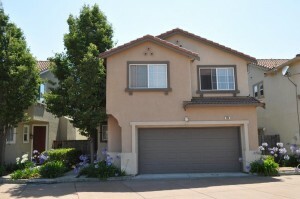 Thanks for your interest in our San Leandro short sale! Previous post: Just Listed – Hayward Short Sale – Investor Special! Next post: New Oakland Short Sale Listing! Navigation: Weblog / Blog article: Just Listed – San Leandro Short Sale!